When news like Fukushima hits, people start thinking of nuclear radiation leaks. Then, mistakenly, they imagine that risk from radiation is a very rare thing. While accidents on such a scale are rare, radiation leaks in themselves are not. For one, every running nuclear plant is already venting “acceptable amounts” of radiation into the environment on a daily basis. Now, there are doctors who swear that there is no way to determine an amount which has no health risks. However, this post is about actual leaks, not releases. News from the last one year from my bookmarks and a few simple searches. Some of the news may be developments on long term contamination on radiation leaks, others may be new radiation leaks. No particular reason for this beyond some reactions to the leak at RAPS a few days ago, that seemed to see this as a rare and acceptable thing. 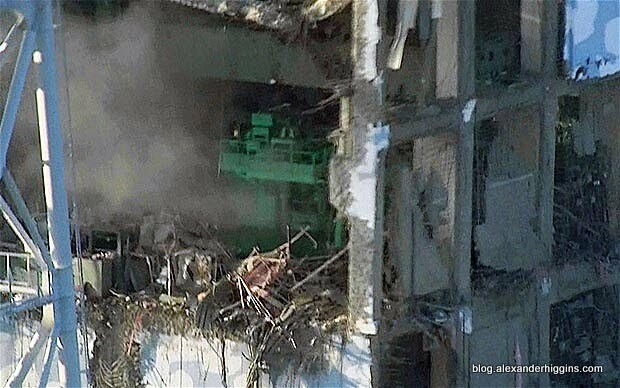 Fukushima, of course continues to leak radiation into the environment. The description of this is beyond an entry in a list. Chernobyl too continues to leak radiation through its crumbling sarcophagus, though on a lesser scale than Fukushima. Kansas State University – 29th June 2011: Radiation leaked at 149 times the Derived Air Concentration (DAC) limit for Iodine during a trial run of its reactor. Though four different systems caught the excessive radiation levels, operators reported their belief that this was due to the proximity of a radioactive sample near the monitors. They did not disclose what kind of sample nor why it was near four different monitors, if that’s even possible. Plus, the sample they discuss showed Cesium, not Iodine. North Carolina State University – 7th July 2011: Officials said Thursday that there is a low-level water leak in the liner that surrounds the campus nuclear reactor, but that it poses no danger to the public. Submarine, off northeast China – 29th July 2011: A rumor began spreading on the Chinese Internet sites that there was a radiation leak on a submarine stationed near Dalian in northeast China. As the story went, the accident occurred while technicians were installing new electronic gear on a Type 94 SSBN ( nuclear powered ballistic missile submarine). Not verified, but detailed. China denies, but no one believes denial. Kakrapar Atomic Power Station, Gujarat – 1st August 2011: An incident from 30th May 2011 came to light where four temporary workers were exposed to 90mSv from spent fuel due to operator error. Health concerns were dismissed citing absence of immediate symptoms of radiation poisoning (usually with fatal doses). As per AERB, the dose limit for workers at a nuclear plant is 20mSv, which was deliberately ignored by station director P K Dutta when he made the following quote “A radiation of 90 mSv does not cause any harm. If we get our whole body CT scanned, we would be exposed to a nuclear radiation of 60 mSv,” who also mentioned contract workers demanding regularization because of this incident as “taking advantage of it”. Temporary workers being exposed to radiation and abandoned without adequate health support or information is an ongoing problem with nuclear plants. Dounreay Nuclear Plant, Scotland – 21st September 2011, Guardian: Scottish nuclear fuel leak ‘will never be completely cleaned up’ – Tens of thousands of radioactive fuel fragments escaped from the Dounreay plant between 1963 and 1984, polluting local beaches, the coastline and the seabed. Fishing has been banned within a two-kilometre radius of the plant since 1997. The Scottish Environment Protection Agency (Sepa) has decided to give up on its aim of returning the seabed near the plant to a “pristine condition”. Staff from here has been consulting at Fukushima to share experience. San Onofre Nuclear plant, California had trouble with premature wear in the cooling tubes leading to leaks of water and gas last summer. First one, then both reactors were shut down for investigation earlier, but this seems to now be a permanent shutdown currently. The exact amount of leakage is unknown, but officials say that it shouldn’t be harmful. Only harmful enough to shut down a nuclear plant, I suppose, not health. Dounreay Nuclear Plant, Scotland – 8th October 2011: Radioactive liquid effluent is understood to have leaked inside a treatment facility. It did not exit the building. Dounreay was constructed in the 1950s as an experimental nuclear power complex, but has not generated electricity since 1994 and is currently being decommissioned by Dounreay Site Restoration Limited (DSRL) who got a top safety award for their work in May 2011. Karachi Nuclear Power Plant (KANUPP), Pakistan – 30th October 2011: heavy water leaked from a feeder pipe to the reactor leading to a seven hour emergency till it was contained. The plant was already shut down for maintenance. Point Lepreau, Canada – second half of November 2011: 23 barrels of water laced with the toxic chemical hydrazine was released into the Bay of Fundy. Point Lepreau, Canada – December 13th 2011: Almost 6 litres of heavy water splashed to the floor, requiring an immediate evacuation of the building. Point Lepreau had been shutdown for refurbishment since 2008, and the leaks happened during the preparations to restart it. Currently, it is stopped till further investigation. Orchid Island, Taiwan – 30th December 2011: Tao Aborigines from Orchid Island protested on Ketagalan Boulevard in front of the Presidential Office in Taipei, saying radioactive material was leaking from a nuclear waste dump on the island. They demanded that the storage facility be removed. Although residents of Orchid Island have long suspected that a radioactive leak has occurred, it was first officially confirmed when Academia Sinica research fellow Huh Chih-an detected radioactivity on the island after being commissioned by Taipower in November. 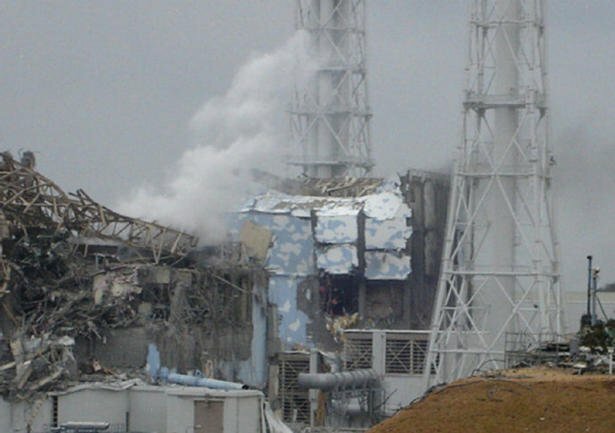 Prarie Island Nuclear Power Plant – 5th January 2012: Leak found. Alert declared. Exelon Byron Nuclear Generating Station, Ogle County, about 100 miles west of Chicago, near Rockford – 30th January 2012: The supply of power from off-site (needed to maintain backup for safety systems) went down, forcing Exelon to take Unit No. 2 offline. Steam containing tritium had to be vented from the reactor triggering panic. North Anna, Virginia, US – 17th February 2012: water taken from an on-site groundwater sampling point contained an unusually high level of tritium — more than twice the EPA’s standard for drinking water. Bruce power, Lake Huron, 240km northwest of Toronto, Canada – 17th March 2012: Leaks were discovered as the reactors were being powered up after an earlier shutdown. EDF Nuclear Power Plant at Penly, Normandy, France – 5th April 2012: A faulty joint on a pump leaked lubricant from the pump used to cool the reactor, which caused two small fires and a low level leak inside the reactor building. Point Lepreau, Canada – 21st May 2012: A third leak. 300 litres of tritiated heavy water spilled on May 21 when a valve opened too soon during pressure testing at the plant. Poor training has been cited as one of the causes for the accident. Rawatbhata Atomic Power Plant (RAPP), Rajasthan, India – some time near 25th May 2012 – 38 workers working on heavy water and tritium supply channels were exposed to tritium leaks (unspecified quantity), 3 of them in doses exceeding allowed dose. Davis-Besse nuclear station in Ohio – 6th June 2012: Small amount of radioactive water sprayed through a minor leak and no radiation escaped the plant. Dounreay, Scotland – 7th June2012: A steady decline in urine levels for uranium and plutonium has been reported for workers here. Prarie Islands Spent Nuclear Fuel pools – 8th June 2012: A U.S. Appeals Court ruled that the NRC violated a federal act by neglecting to run in-depth studies on how storing radioactive waste at nuclear power plants impacts health and the environment. Read document. 1,500 tons of high-level irradiated waste is stored in heavy steel and concrete casks on a tarmac a few hundred feet from the Hudson River. The Westchester-based plant produces about 30 tons of radioactive waste every 18 months, which is then crammed into two overcrowded, 40-foot deep spent fuel pools. Each pool holds about 1,000 tons of radioactive waste and has been leaking into the ground and river for years. Pallisades Nuclear Plant, Michigan, US – 12th June 2012: The plant was shut down and a Nuclear Regulatory Commission investigation has been started over a year long leak of approximately 31.8 gallons of borated water per day (not heavily radioactive – used to stop fission) from a cooling tank into the reactor’s control room. The operator believes there may be several leaks involved, but the leaks have not been found yet, so repairs are pending. Pallisades had five unplanned shutdowns in 2011. NRC has downgraded the safety rating for the plant. Susquehanna Nuclear Plant – 20th june 2012: PPL Corp. shut down the Unit 1 reactor at its Susquehanna nuclear power plant near Berwick on Tuesday to investigate what it called a minor water leak inside the container structure surrounding the reactor. Unit 1 had been online only 11 days since a 69-day shutdown starting March 31, during which the company repaired cracks in Unit 1 turbine blades. And there are more. I have gone through about half the tabs I opened. Bored now. This list is nowhere near comprehensive. An astonishing 75% of all US nuclear reactors were found to be leaking tritium last year. The simple point I am trying to make is that claims of safety by the pro-nuclear lobby are highly exaggerated.